Shame they can’t “error”-in the current graphics package, eh? Pick ONE theme and go with it. Sounds like the soundtrack of a Youtube Poop. Huonville is 30 mins south of Hobart. Could anyone compare the Seven Spencer Gulf Nightly News theme with the WIN News closing theme? If they’re going to continue with the current GTS/BKN theme (indicated on MS due to SCA’s rights to “The Mission”), they should use it on the Darwin and Central noodle updates to try and tie their local news brands together. It would certainly sound more newsworthy than the current noodle theme. Edit: A quick mock I made a few months back. If composer Alan Hawkshaw wasn’t now in his early 80s, I’d suggest that commissioning an updated version of that dusty old production track from 1989 (similar to how the ABC got David Sharp to do a custom update of “Hitting Headlines” for Lateline a few years back) wouldn’t be a bad idea. The idea that SCA would get a licence to use Seven News’ current theme music in Tasmania but not elsewhere still seems odd though. Perhaps SX wants to differentiate the local news from the national/Adelaide product - just a thought. Also, the suggestion that SX should unify its brands is a bit silly - why bother? There’s no overlap of audience reach. No one in Whyalla is going to think “oh, won’t watch the local news because the theme music isn’t the same as the news as the Tasmania bulletin”. No one in Whyalla is going to think “oh, won’t watch the local news because the theme music isn’t the same as the news as the Tasmania bulletin”. While that’s true, everyone else (including regional news services) have a unified brand to some extent. In 2019, it’d makes sense to have one professional looking On-Air Presentation package (with some localisation, of course) for all SCA Seven-affiliated news services and get the money that isn’t being spent on multiple branding packages back into the actual content. Yes, I thought that as well. Guess we’ll find out in tomorrow nights bulletin. Looks like last night was an error, back to normal tonight. Tonight’s coverage of the fires. Two crosses, one at the beginning of the bulletin again to Miena and Huonville and then later on to the TFS Northern Headquarters in Launceston. BREAKING: The Tasmania Fire Service has confirmed one property has been destroyed near Miena. Firefighters are warning some communities may be at very high risk, until conditions ease later tonight. 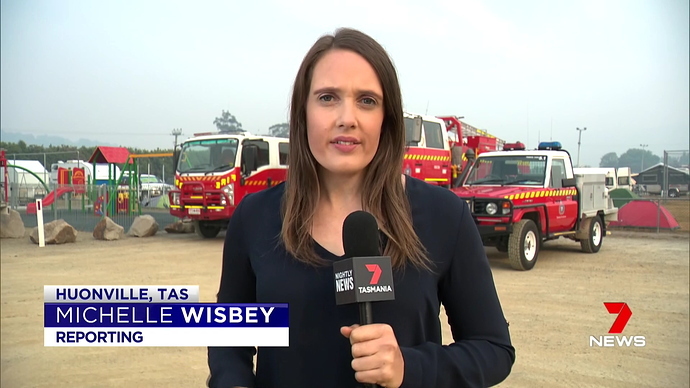 I don’t see why Seven were so hesistant about SCA using the 7 News brand out of Tasmania (not Spencer Gulf). The Tasmanian bulletin is a class act. There is no point spending the money to change things if there is no audience need. Doesn’t matter if it’s 2019 or 2011. SCA will not spend unless it needs to. Also, the suggestion that SX should unify its brands is a bit silly - why bother? There’s no overlap of audience reach. I think you’ve missed my point @TheMoreYouKnow. It has nothing to do with overlapping license areas, just visual/audio continuity across their local news portfolio (i.e. not Tasmania since it’s composite not full local). Logistically easier and sensical to manage one package versus several. If you really want to talk money, it would cost SCA nothing to use the GTS/BKN theme for noodle updates or to update the GTS/BKN graphics, which they already have in use on their other products. Here’s a video of the scrolling messages across 7 Tasmania and TDT 9 the past couple of nights. This one obviously from the latter. …maybe they should allow them to use the actual “Seven News” brand? 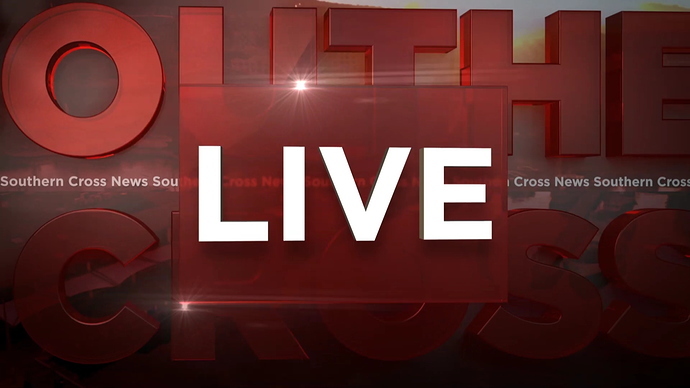 One could argue that the news service produced by Southern Cross/TNT is better in content quality than the network O&O stations in Sydney & Melbourne, but that’s a debate for another time. …maybe they should allow them to use the actual “Seven News” brand? Sevens News programmes have referred to the reporters as 7 News Reporters a number of times now, including this morning on the Morning Show. Even when the were still SC they would be used, and they even had 7 mic boxes. Extremely cheeky! You’d think Seven would just say “Tasmania News Reporter” or “7 Tasmania Reporter” for neutral separation from the network. 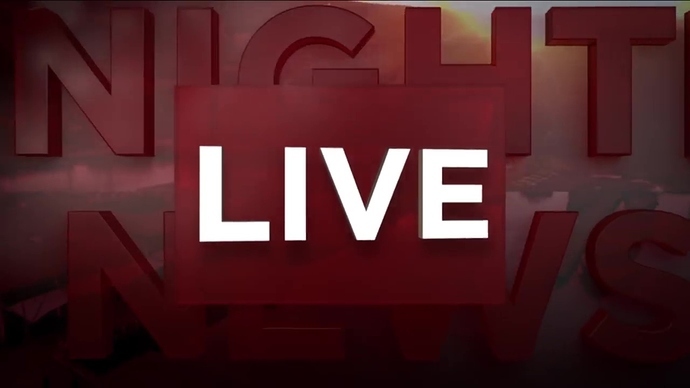 The closer on Nightly News > 7 Tasmania tonight went so long that the music ran out and then paused before looping back to the start again for a few seconds. It just kept going on and on and on.